Homestead Revival: Do You Have Extra Space? For the last ten years my family has lived on 4.6 acres, raising animals and food. Our beautiful home is at the foot of our property and the garden is set back into the mountainside. Nearly a decade later there are a few things that would have worked better and some we got right. No matter how much space you have, keep your garden somewhere you will see it from your living room. There is no greater inspiration than the possibility of the local homesteading group seeing your untrellised tomatoes and eggplant sprawling together in a weed patch. Our garden is almost out of site of the house. It is set back into the far corner of the fenced area and that is probably our biggest regret. Proximity is important. Out of sight, out of mind. When life got busy, we didn't have wilty plants reminding us to check drippers and fallen onions in full view. It made it difficult to just go out to the garden for a little bit and in time the work would pile up until it was one big bramble. Basil would bolt and squash would get too big to use. Ideally, the garden would be right outside the house, making it easy to maintain and use produce in the kitchen. Different seasons in life determine how much you can do. 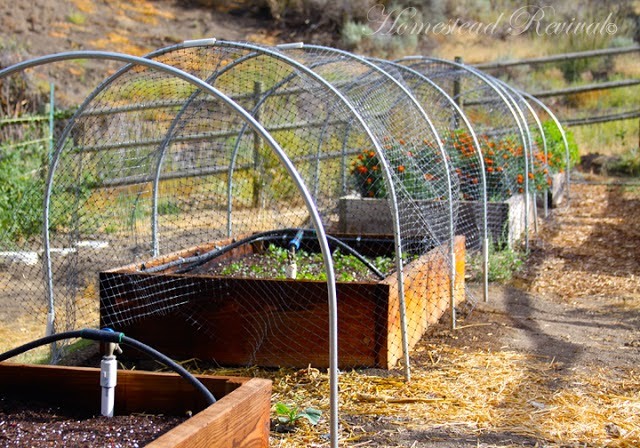 As you plan and develop your garden start small the first year and figure out the basics: compost, water, and sunlight. 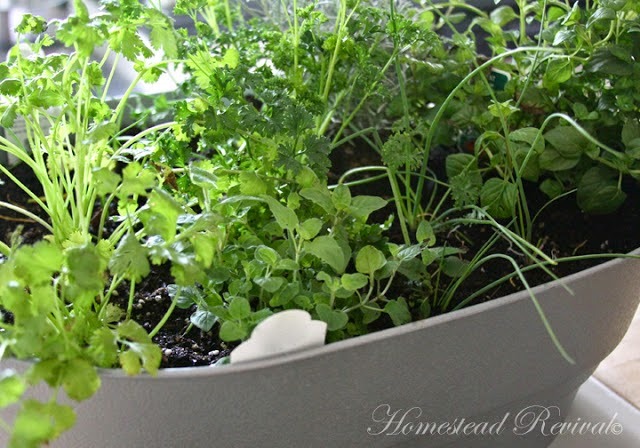 Once you have these things in place expanding will become more natural and sustainable. 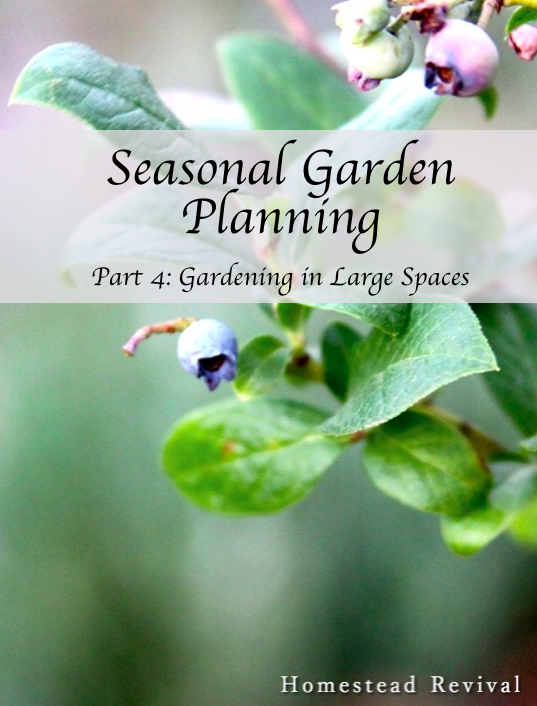 Finding what works for you could mean growing an orchard, vineyard, or multiple raised beds. Take the time to learn about your land. What are the pests? Are you able to use water catchment or is there a natural spring? What natural pollinators are there? Are there any local varieties to try? Meet your neighbors and learn about their gardens. Learn to do a few things really well. Each of these things gives back more than it takes. Planting methods bring out superior yield. Companion planting uses different vegetables to drive off pests and increase pollination. Each tool overlaps into the others to create a system. For example, if you plant radishes by a cucumber it will make the soil too hot for the cucumber beetle. In Square Foot gardening you might plant one foot of radishes next to a trellised cucumber. All of this together creates a tiny system that keeps beetles away. Currently, many gardeners will testify to the value of stressing crops to make them sweeter and now in California a larger market for dry farmed produce is growing. In Europe most of their wine grapes are dry farmed. Water is a big issue in California and most of the United States. Just a couple years ago, the water table was so low in Georgia the residents had to limit their showers. When it did rain, the pavement filled state flooded and the ground eroded. With plentiful accessible water, more people have filled there land with grass, landscaping, and food. Before this Indians in the Southwest used dry farming methods in areas with low precipitation. 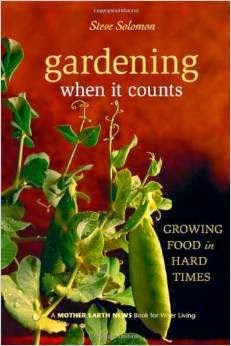 In his book, Gardening When It Counts, Steve Solomon says that before modern water methods developed farmers needed large portions of land to spread out there crops. The orchards and fields were spread out so that the roots could feed off of the ground water. This developed smaller, intensely flavored fruits and vegetables. This system is directly opposite of most gardening methods. The intensive methods require large amounts of water and high maintenance. Putting large amounts of food in one area drains the soil of nutrients and requires large amounts of amendment and compost. Will you consider taking this route? 40 Million acres are currently covered in turf grass. 17 Million gallons of oil are spilled trying to maintain it per year. 5 billion dollars is spent on fossil fuel derived fertilizers per year. This is 60 million acre-feet of water per year. That is enough water to cover 60,000,000 acres in one foot of water. 40-50 Million Americans have allergies related to grass, but they still spend water and money keeping it alive! According to the UN Water Cooperation Project, "783 million people do not have access to clean water and almost 2.5 billion do not have access to adequate sanitation." We can use our resources better. Our land is dry and people around us need food and water. Let's take the time to be thankful for what we have and ask for the wisdom to do what is best with it. If you would like to donate to help a few great water projects, check out water.org or WaterisLife. Our next post in this series will be publish the Monday after Thanksgiving.